Just a couple days ago I received an amazing testimonial from a first time customer of my detox foot pads. Every small business owner dreams about receiving testimonials like this one, and sure enough, my dream came true! This is verbatim, word for word, what my customer said. It wasn't necessary to edit one word. She wrote it beautifully!! So, if you are suffering from heel spurs, you may want to request a free sample of my foot pads! These foot pads may also help with plantar fasciitis pain relief. Thanks for shipping the foot pads so quickly. My sister gave me a few of these pads to try a few days ago. I have NEVER used anything that changed my life so dramatically in just a matter of hours. I have had heel spurs in my right foot for about 8 months and was to the point to where I could barely wear shoes or walk & was in constant pain. Bad pain. I was taking pain pills day & night. After wearing these pads the 1st night, I got up the following morning and just could not believe how the pain was barely even there anymore. The 2nd morning was even better & now the 3rd day those heel spurs are GONE. No pain whatsoever! I do not know if they broke off, dissolved or what exactly happened, but they truly are gone. I think that this information needs to get out to people. 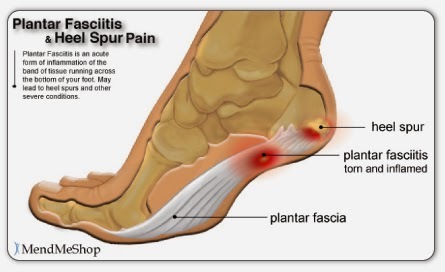 These pads are not known to be a cure for heel spurs - the only thing I have found that helps is cortisone injections or surgery which I have heard is very painful. These could help many people that have heel spurs. If you have a way to get word of this to people I really wish you would. The pads have also definitely helped with the way I feel in the mornings as I wake up easier & feel refreshed."